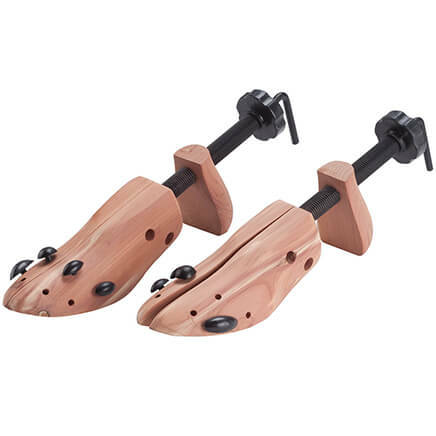 I got this for my wife who has a hard time in putting on her socks,but now she has no problems in doing so. My 73 year old mother has trouble putting on her socks.She has been looking for this item for awhile. She found similar ones that were more expensive. I was looking on the Miles Kimball website and saw this one. She was very happy with it andsays it really helps her. Works as described--it's just what I needed! My husband has a pulled muscle in his upper leg and this helps him put on his socks every morning. Bending over to pull on the sock aggravated the muscle in trying to heal. It is easy to use--just a little large--would be hard to travel with. I bought this for my wife since she has a hard time in putting her socks on and her shoes as well. And it works very well for her. Wished I saw this a few years ago. It would save me a lot of un-necessary pain. Putting my socks on with out ang problems in bending over. This makes it so much easier to get my socks on on the days I am too stiff to bed over. Thank youo for a useful product. My friend LOVES his Sock Aid!! I bought this as an aid for a friend of mine. He is 100% pleased with how it works! He can now put on his socks every morning without hassle or pain. Thanks!! This didn't help me at all when I tired to use it so I just gave up. i had a major stroke i lost left side of my body plus arthritis well lets say getting dress every day is hard as for socks this product helps me get them on with no problem but not my compressions sock the VA gave me something to help with that but it is hard to use i love this product even with my wide feet i get the socks on. 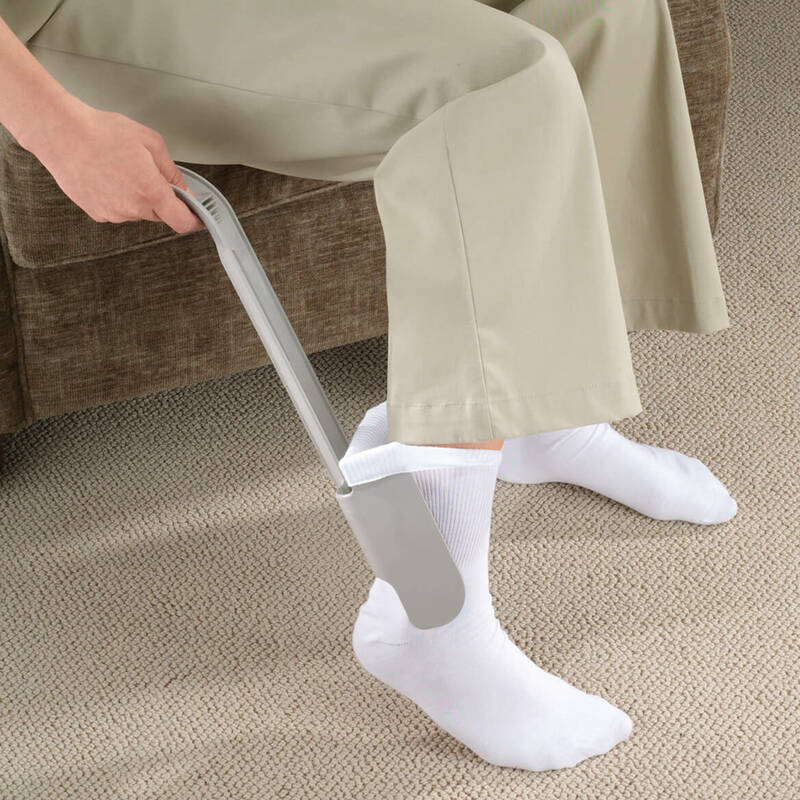 This is the fourth device I've used to help don my socks eadfch day. The previos 4 are gone! My husband has a back problem and cannot comfortably put on his socks. Hoping this will help him dress. Because I have spinal arthritis. it is not possible for me to get socks on by myself, this should be helpful to allow me to do the job myself. 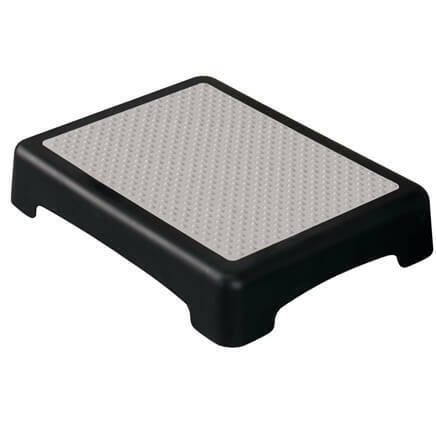 I watched video and that helped me to decide that this product seems easy to use. Hope it helps me get my sock and shoe on. I'm in need of a hip replacement. My husband has difficulty bending over to put on socks. Hopefully he won't have to twist like he does now. All of the comments were favorable but one, so thought would be a good product, I hope I am right. I need a little help putting my socks on in the morning. This should do it! i have trouble bending over due to hip replacements. this product should be a big help. 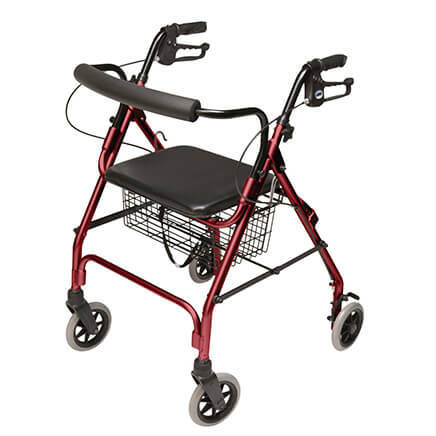 Have severe arthritis in right hip, unable to reach far enough to put right sock on foot. Hopefully this will assist me with ease of putting socks on in future. Looks easy, will advise, when I start using it. 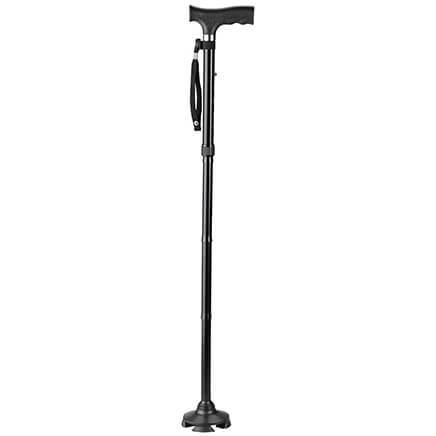 required after hip replacement surgery. Best price and what I needed. to assist my husband in putting on socks and buttoning shirts. Reliable name. Video helped make the choice. I think this will benefit many of my patients! I have a friend that can't bend his knees well enough to put on his sox without pain. I am hoping this devise will help him. Obviously need help to get socks on! I'm having difficulties putting on socks with another brand and type of sock aid and thought this might work. I have one and it works well. I want a backup in case it breaks. 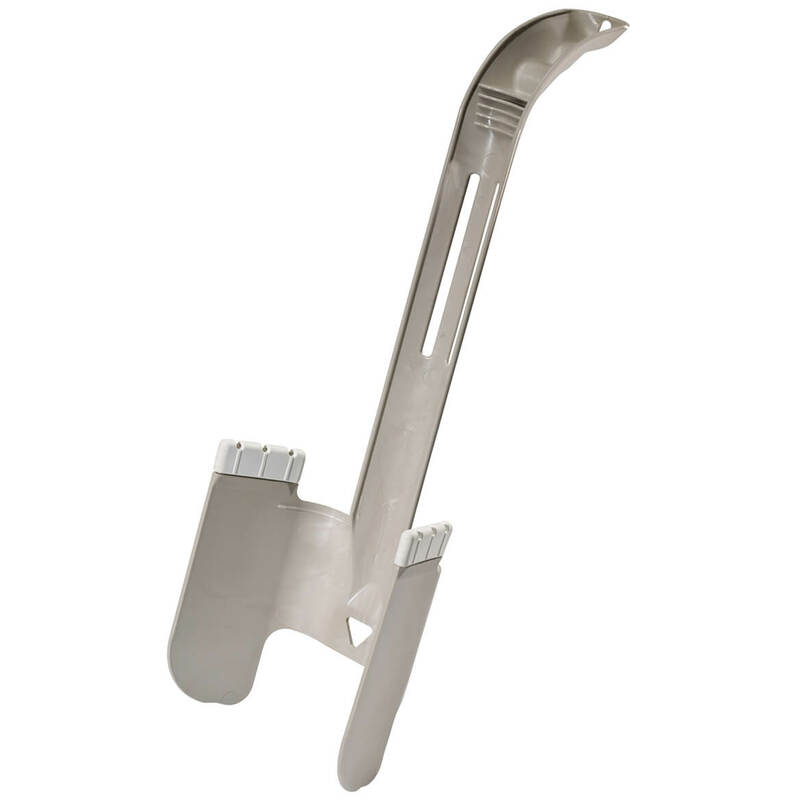 It is a sock puller and long handled shoe spoon in one. will this work on ankle socks? BEST ANSWER: Honestly, I ended up getting rid of it. Low socks did now work with it well at all for me. I ended up having to either struggle to get them off the appliance once on my foot or the sock would get stuck and I had to try to reach it. The inability to reach that far was why I bought it in the first place. Yes it does.!! !husband loves it.!! !uses it quite often.!!! I didn't try it with ankle socks. Sorry. 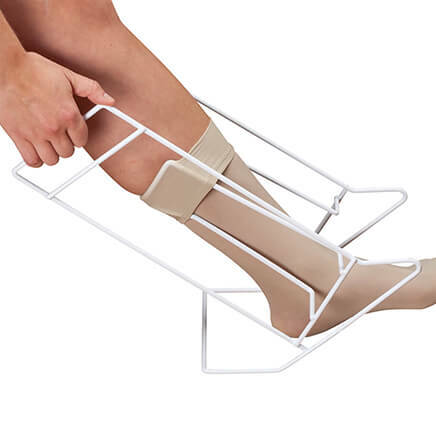 How good is this product in putting on compression stockings? Very good. 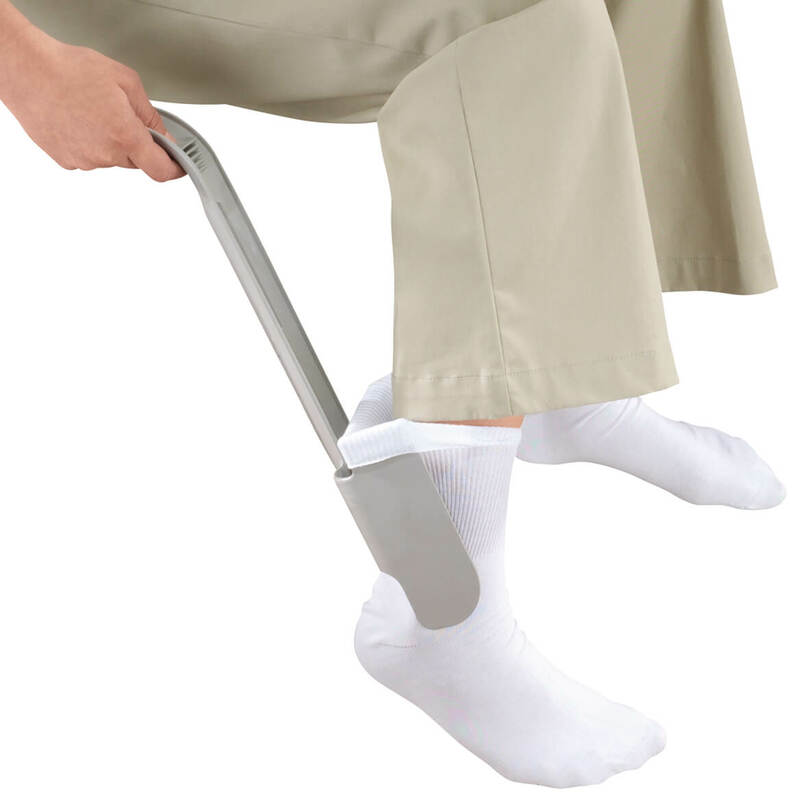 Really helps by stretching the sock so it easily slips over your foot.